The Dutch e-commerce giant Wehkamp has revamped its entire e-commerce platform using a microservices architecture that allows easier website updates. This overhaul has far-reaching consequences for the entire delivery and testing process. Each component is developed separately, moving the integration issue to the testing phase, which required a change in the testing methods. By introducing agile testing and software quality assurance, developing new tests, and automating the testing process to a great extent, Xebia helped Wehkamp keep their testing process lean and mean. Wehkamp required more market flexibility. The company's marketing team needed to quickly set up promotions, perform A/B testing (half the customers see version A of the website and the rest see version B), and launch the website in new markets. 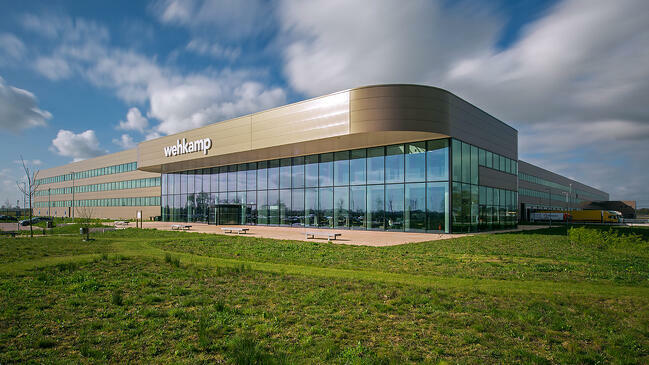 Wehkamp began building a fully new e-commerce platform in 2014; a gigantic operation where virtually everything was changed: the technology, the working method, and the collaboration between business and IT. The testing process was among the last components to be set up. Previously, the testing platform consisted of just the front-end (i.e. what customers see on the website). However, the company's e-commerce platform is much bigger, including features such as ordering and payment modules. Each order triggers a logistics process. Wehkamp aimed for testing across all sections of the platform, both front and back-end. Another goal the company set was to reduce the time required to complete a test. The introduction of test automation virtually eliminated all manual work. Developers now identify within ten minutes whether an applied change or a microservice they completed functions properly. Wehkamp is also using a dashboard that gives real-time insight into the tested microservices and the acceptance environment. It also shows the quality of recently developed or updated services. Developers receive more feedback on their work and continually learn how to improve it. Xebia also established integration tests, a critical new testing category. Although microservices make an organization more flexible, they introduce an additional point of attention: continuously ensuring a service interacts properly with other services after a change. Introducing the new e-commerce platform instigated a revolution within Wehkamp. Previously, the development and marketing departments were functioning separately; now they collaborate closely. The new platform provides options for the company's marketers to regularly explore possibilities to increase online conversion. The development teams understand better why marketers make change requests and respond to the business needs faster. Testing is now an integral part of the design process, based on business goals. It is no longer a mere technical exercise. The testers know which issues are critical and what to pay the most attention to. After automating all standard tests, more time is available for tests that require more creativity.